Shipped with: Amiga 600s, available as an update for all other Amiga models. Dynamic localisation of programs to different languages and locale. New CrossDOS for easy transfer of MS-DOS and Amiga files. Support for 68040 CPUs via the CPU command, and first inclusion of 68040.library in the "Install Disk, Version 2.1" diskette. Support for multiple serial and parallel preferences. Support for high-density (1.76MB) floppy disk drives. Two official versions of the release notes are available: Developer | User. AmigaOS 3.x-style directory structure visible in DEVS:. v36.2 (07/25/91) 840 bytes (source: PP&SMercury.dms). One of the earliest versions, without FPU emulation. v37.2 (10/11/91) 41,568 bytes (source: GForce3040.dms). v37.4 (06/10/92) 41,672 bytes (source: PPS_040.dms). Commodore gave this version to GVP and Progressive Peripherals and Software. v37.10 (08/26/92) 43,428 bytes (source: GigaMem v3.0.adf). v37.30 (01/18/93) 43,888 bytes (source(s): GigaMem v3.12.adf; OS 3.1 Install disk; A4000T (HD floppy) companion disk; MacroSystem US's WarpEngine install disk, and both A4091-4014.dms and A4091-4002.dms)). v37.40? It's unclear if the following Amiga user was mistakenly referring to the 37.4 version, but they note that: "Version 37.40 is what I have, although someone mentioned to me there is higher version that is working on his through the 68060 libs package. I can't make it work for me... But 37.40 is VERY stable where as I can't make it crash unless I try very very hard.... =) In short, I'm a very happy camper!" (source(s): http://www.verycomputer.com/2_553ba4ab2057c866_1.htm). Diskdoctor was officially removed with this release. Commodore discontinued licensing the Amiga's speech software from SoftVoice, Inc., so (officially) beginning with this release, the "Say" program, DEVS:narrator.device, and LIBS:translator.library were no longer included on the Workbench disks. According to Matt Sealey, the guys who designed translator and narrator had a spat with Commodore, much like William Hawes did (ARexx), so Commodore had to withdraw it from the OS distribution. Commodore may also have discontinued licensing it to cut costs, as the software was not used much. The differences between v.33 and v.37 of the speech software are: the quality of the output was greatly enhanced, and the device now offered finer control of the speech-controlling parameters. 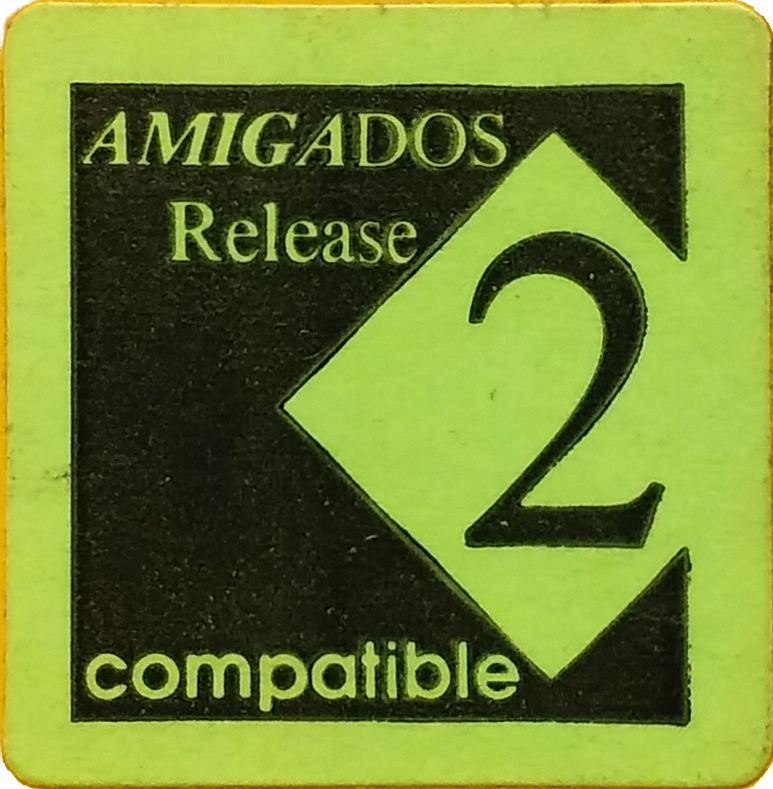 Starting with 2.1, the initial AmigaDOS window opening on bootup was discontinued (this makes use of a Kickstart 2.x ROM feature). Apparently when booting from disk, the diskette requires a special bootblock to enable this feature.